Since 1940, we've been solving your air handling problems by providing custom solutions and standing beside you every step of the way, from conception to installation. 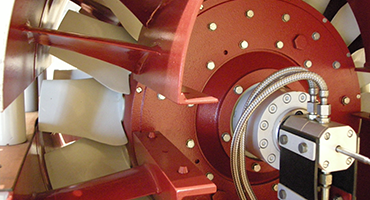 The people and products you can depend on for reliable industrial fans, air handling and air pollution control systems, since 1940. A complete line of products to handle any project involving the movement of either clean or dirty airstreams from one space to another. Products are available in mild steel, stainless, PVC, fiberglass, other exotic metals and with various paint coatings. 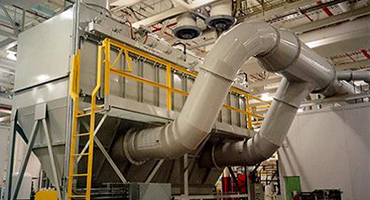 A complete line of products to supply air into industrial spaces to meet demanding conditions. Products range from direct gas-fired air make-up equipment, to air rotation units with heating and cooling, to environmental low humidity room air supply equipment. 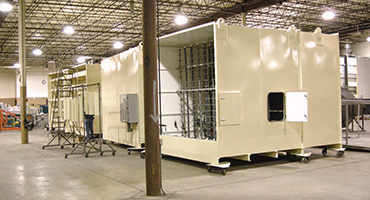 A complete line of dust collection, fume scrubbing, oil mist collection, odor control and VOC containment devices to handle most project requirements to capture and collect various dust, fume, smoke and vapor releases.